When you lose your father, it feels unbearable. While you may no longer get to see or talk to him in person, you can still celebrate his special day. 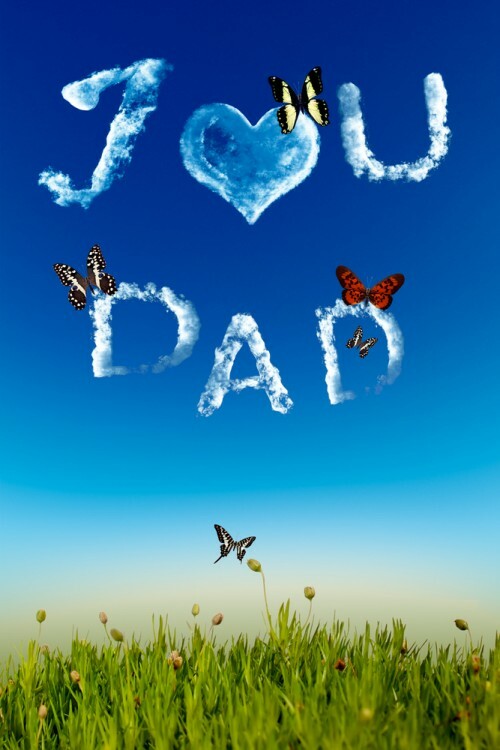 These happy birthday dad in heaven messages help you find the words to commemorate this day and his memory. You can use them in a Facebook post, write them in a card for his grave or say them among friends as you celebrate his birthday. 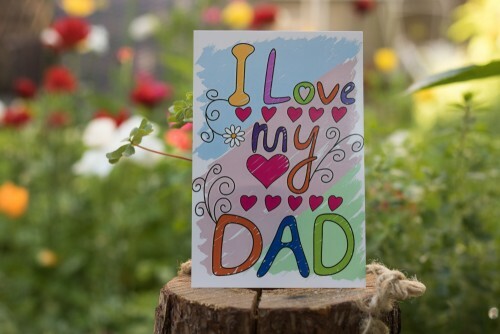 These happy birthday dad in heaven messages can help you show the world that your father might be gone, but he is never forgotten. 1. Every time I think about you, tears roll down my cheeks like rain. I know that you are in a better place, but I can’t help missing you terrible. Happy birthday in heaven, Dad. 2. Every birthday is yet another reminder of the hole you left in my life. I wish that I could turn back the clock to relive all of the memories of my childhood with you. I hope that the angels in heaven celebrate your birthday as much as we are on earth. Happy birthday, Dad! 3. It hurts me terribly when I think about how you are no longer with us. Even through my tears, I smile when I think about all of the cherished moments that we have had together on earth. I just wish that you were still alive to make more memories with us. I miss you, Dad. Have a wonderful birthday in heaven. 4. Wherever you are now, Dad, I just want you to know I miss you. Even when we argued or had misunderstandings, I always loved you and secretly knew that you were right. Happy birthday, Dad. I miss you. 5. It does not matter how often we saw or how long we were together, your advice always helped me to stick to the right path in life. Even when we could not speak every day, I knew how much you loved me. Happy birthday in heaven, Dad. 6. When I was a kid, it seemed like I had a million ways to annoy you. As a teenager, I found a million reasons and ways to defy you. Later, I had millions of opportunities to make you proud of me. While I tried my best, I feel like I missed out on all of the million chances that I had to say I love you while you were alive. I miss you so much and love you still. Have a wonderful birthday. 7. Dad, since you let, I keep thinking about you all the time. It pains me so much that you are not here with me. I would give anything just to relive one of the special memories that we had together. I truly miss you. Happy birthday in heaven. 8. I am sending across my best birthday wishes to the best dad I know. He may not be here now, but he’s forever in my heart. Happy birthday dad! 9. Here’s to wishing you an amazing birthday in heaven. I hope that your special day is filled with love, peace and happiness. I miss you so much and cannot wait until I can see you again. 10. How can heaven be a beautiful place when it took away the dearest person in my life? The angels must be happy now because they have the best angel from earth at their side. I love you, Dad. Happy birthday! 11. It seems entirely unfair that I am left here alone to cope with the grief of your passing. You were the only person who understood me for who I am and who could comfort me when I was down. Now, I am left to pick up the pieces alone. I miss you so much, Daddy. Happy birthday. 12. We might be far away from each other now, but I still feel like you are with me. Ever since you first held me as a child, it has felt like you have showered my with your continuous love and care. Each day, I feel better knowing that you are looking down on me. Have the best birthday, Dad. 13. Dearest Dad, thank you for always teaching me how to be strong and showing me the right way to live by your example. I am just sorry that I let you down when we said good-bye. Honestly, I don’t think I will ever be strong enough to accept the fact that you have left me. Have a wonderful birthday in heaven, Dad. 14. From the moment you first held me in your arms to the day you sent me to school, I had amazing, cherished memories of you. All of these wonderful memories made me into the person who I am today. Happy birthday in heaven. I miss you. 15. Death may have stolen you away, but it does not realize that it has managed to bring us closer together. Now, I know that you are listening and watching me always. Thank you for hearing all of my prayers. Have an amazing birthday, Dad. 16. Dad, I will not try to immortalize you in the stars because they will eventually fade away. I will not write about you in a poem because it will eventually be forgotten someday. I will just hold you dear in my heart so that you are with me in every way. Happy birthday—I miss you. 17. The greatest cruelty of life is that I was not with you long enough to learn everything about you and all of your life lessons. Thankfully, I had enough time with you to love you completely and miss you dearly. I will do my best to live up to your example in all things. Happy birthday in heaven, Dad. 18. Today, I just wanted to wish you an amazing birthday. I hope that you can here all of my best wishes in heaven. Some day, I will get to be with you again and to see your smile as I walk up. Happy birthday, Dad. 19. As I grow older, I will always be daddy’s little girl. I might age and change, but I hold your memory with me always. Happy birthday, Dad. 20. The best dad in the world can no longer be found on earth. Instead, he watches and guides everyone from heaven. Happy birthday, Dad. I hope you and the angels have a blast together on your special day. I miss you so much! 21. Now, your memories have turned into my heartbeats. 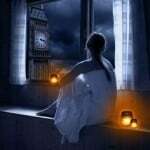 I think of you with each beating of my heart and remember all of the memories we had together. From now until forever, I will cherish all of the amazing memories that we had together. I miss you so much, but I know that you are looking down on me from heaven. Happy birthday! 22. Whether it is a silent garage on Sunday morning or an empty spot on the couch, I miss you in every way. Nothing has been the same since you left. I lost my greatest supporter, my dearest confidante and my favorite mentor. Happy birthday in heaven, Dad! 23. It is so ironic that I spent my childhood and adulthood not listening to all of your advice. Now that you have left me, it is terribly ironic that I am living exactly how you wanted. I just wish that I could still turn to you for advice. Have the best birthday in heaven, Dad! 24. 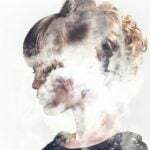 Your death is a blurry memory to me, and I don’t think that my mind accepts it. Thankfully, your life has been a vivid memory. You exemplified what true greatness, love and sacrifice look like in this world. I miss you, Dad. Have a great birthday today. 25. Talking to your gravestone while staring at your photos is just so terribly hard. I try to convince myself that you are still here, but the gravestone is cold and the pictures never move. I miss you so much. Happy birthday, Dad—I love you. 26. Your life may be over with, but you have left behind a legacy of courage, wisdom and integrity. Because of this, your memory will continue forever. I miss you—have an amazing birthday in heaven, Dad! 27. Dearest Dad, I know that I cannot talk to you in person now, but I also know that you are up in heaven listening to me. I hope that you are proud of all the things that I have done in life and are at peace wherever you are. I just wanted to wish you a happy birthday and to say that I miss you terribly. 28. I stopped looking to the sky at night because fate stole away my brightest star. Some day, I hope to be with that shining star in heaven. Until then, all I can do is miss you and hope that the angels are celebrating your birthday as well as we did when you were on earth. Happy birthday, Dad. I love you. 29. I hope the angels are celebrating your birthday in heaven with a lot of rejoicing and good cheer. Happy birthday, Dad! 30. I wish that I could get a hug from you just one more time. Some day, I will be able to hug you again in heaven. Until then, I will just miss you terribly. Happy birthday, Dad.